Sao Paulo is the largest city in Brazil that boasts amazing cultural sites, high-rise buildings amongst historic monuments, rich wildlife, stylish restaurants, a vibrant nightlife and spectacular landmarks, the most iconic being the Latin America Memorial which was designed by a Brazilian architect to honor the struggle of Latin Americans. Another must-see landmark in Sao Paulo is the Mosteiro Sao Bento, the city’s oldest church that features a neo-Gothic facade and impressive stained-glass windows. You can also visit the incredible Santa Ifigenia Viaduct Bridge which was constructed with stunning metal arches and Art Nouveau styles. Finally, step inside the Sao Paulo Cathedral and admire its beautiful marble interior. 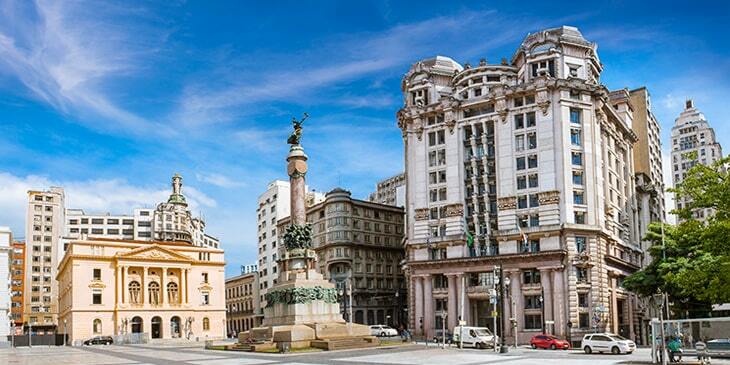 Get in touch with Brightsun Travel about cheap air tickets to Sao Paulo. Sao Polo is world-renowned for its native wildlife. Visit Brazil’s largest zoo - Sao Paulo Zoo, spread over 204 acres, to spot more than 102 mammal species, 216 bird species, 95 reptile species and 15 amphibian species. Here you can get up close to various endangered Brazilian animal and bird species, including hyacinth macaws, Andean condors, European bisons and lion tamarins. Another ideal wildlife-spotting venue in Sao Polo is the Cantareira State Park, one of the world’s largest urban forests spread over 7,900 hectares, home to a range of endangered animal species, including ocelots and howler monkeys. Brightsun Travel offers Sao Paulo flights from India, taking you to the heart of this wildlife lovers’ paradise. Sao Paulo is an excellent museum hub where you can discover plenty of impressive venues. Visit the Football Museum to dive into various aspects of this world-famous game; explore photographs of renowned football players and watch videos of impressive goals scored at World Cup competitions. Another contemporary museum worth visiting here is the Museu Afro-Brasil which displays more than 6,000 paintings, prints, documents, and sculptures related to the country’s African immigrants. You can also step inside the Sao Paulo Museum of Art to discover a collection of 10,000 items, ranging from photographs and paintings to statues and costumes; there is also a rare collection of bronze sculptures displayed here, created by renowned French artist Edgar Degas.